Growing up sport was my life, deeply seeded in my being. I had a lot of heart, was a fierce competitor, not afraid to go head to head with the competition. For me getting injured was never a dwelling thought. Fast-forward to my freshman year in high school. I was on the soccer team; it was the second pre-season game. I was playing forward and went head to head against a girl who had at least 30lbs on me. Of course, I went for the ball. Moments later I feel my knee cap pop out and back in, along with a loud pop. Bam. I was laid out and my mom had to carry me off the field. (Can you say embarrassing?) An MRI confirmed it was a torn ACL. It was only partially torn so I didn’t have surgery, but my mom told me that I could not play anymore. Soccer was my life, my identity. At the time I did not understand that they were thinking of my future. My parents wanted me to enjoy my sport, without the risk for injury. A majority of parents put their kids in a sport/practice so that they can obtain moral values, learn to work together, and develop mental and physical strength. In opposition you have the parents who only seek to live vicariously through their kin pressuring them to seek the external rewards of practice; imprinting into their subconscious the notion they have one chance to accelerate and “make it big”. Why should one participate in a practice or sport? Should risk play a role in participation? Without my parents prudent thinking, what would have been the consequences? It is common knowledge that everyBODY is different; it is a learned skill to know what is right for YOU. In the article by W. Miller Brown, he discusses how prudence is important in the practice of sport. We must not only think in the now, but also focus on how the now may affect our future. Though thoughts of future effects of current practices play an important role in sustaining long lasting skill/fitness level, we must first acknowledge why one participates. Brown speaks of the internal and external goods that accompany practices. Internal goods consist of virtues such as fairness, honesty, and courage. External goods are that of which are not a direct result of the practice, but are offered to those who excel, these include; money, power, fame, vanity etc. I believe it is about finding balance. The internal allows one to develop good morals and values. The external goods tend to cloud that of the internal, shifting what was once fun and enjoyable to an activity that is driven by institutionalization of sports. Institutionalization plays an important role in sustaining practices; it brings a sense of community and allows one to develop important human capacities that transcend the practice itself. Brown states that “if institutions are needed to sustain practices, they are also by their nature liable to affect them by offering external goods and seeking to substitute them for internal goods intrinsic to the practices they nurture”. We must be mindful when participating in a practice, and not get swept away by the enticing external goods highlighted by institutions. Remember WHY we participate in the first place. 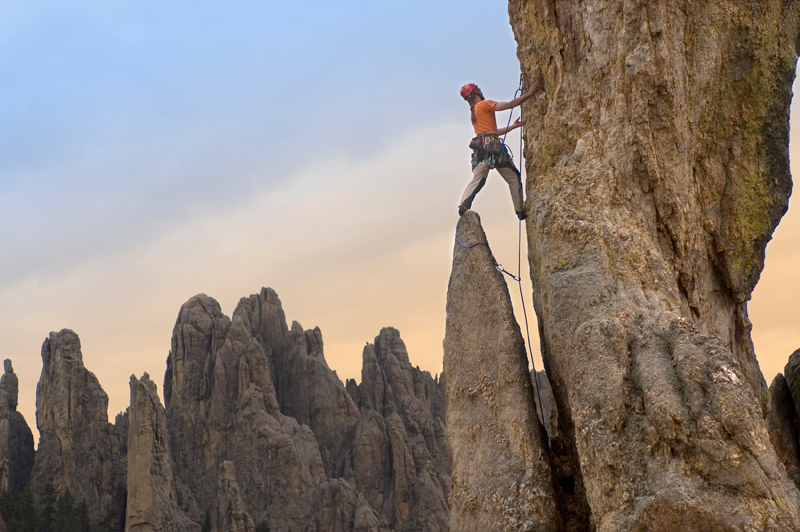 Risk is an apparent part of living an active life. How much should one risk in order to fulfill their need for internal/external goods? Brown makes reference to the prudential athletic life (PAL). “Our well-being when old is equally important as our well-being when young, the second is the prudential strategy of keeping our options open. “ There are always risks when participating in any physical practice. Brown acknowledges, “ We seek the challenge of doing well something of great difficulty”. It is the risk that may attract ones participation for a sport or practice. Knowing the risks is the most important part. Some are motivated by the high risk of a practice (I.e. Football, boxing, rock climbing, etc.) This is where prudent judgments must be made; if we do injure ourselves we must use that to learn more about ourselves. It is common to come across an individual who has had multiple knee surgeries from participation in practice. What is their drive behind wanting to get back on the field? People tend to forget that we do not have to stick to one practice in this lifetime. Brown notes that a lot of motor skill developed with one particular practice will translate well to other practices. Life is about branching out, having new encounters, new experiences, knowing when to let go and move on. There is a thin veil between testing the limits and pushing way past the limits. Injuries happen and can play a role in teaching us internal values such as patience. My parents not allowing me to participate in soccer was a prudent choice, in which I currently thank them. Prudence involves a balancing between being overly cautious and pushing just the right amount. We must learn to experience and enjoy the now while keeping in mind the effects in may have on your overall health in the future. An example would be the career of a professional football player, most football players suffer major physical consequences for all of the high impact entailed in the sport, and they make a conscious choice to play in light of the consequences. This is a direct result of the external goods highlighted by institutions. People need external gratification to fulfill their need for approval and to feel accepted. We strive for good health, but in the process are mindless in our actions and push ourselves to far to early, leaving the later years to dwell on the consequences. Being prudent is about balancing the risk to benefit of a practice and being cautious of how our current actions directly affect our future. The night is still young, yet the tension is high. Who is going to be defeated? Who will annihilate their competition? It is the Cup Killers vs. Smash and Dash. At this moment it is tied, each team has two cups left. Cup Killers just received the balls back, having made two cups in a row. They are ready to stick it to em’, trying to gain insight on the most optimal trajectory in order penetrate the ball into one of the remaining cups. The crowd is going wild, chanting, cheering, and yelling obscene remarks in effort to distract, but like a well-oiled machine, the ball effortlessly enters the cup. Missing the second shot, Smash and Dash are up. Winding up for the shot it barely misses the cup, hitting the rim! Rim shots are such a tease. The second shot, beautifully executed by Smash and Dash, ties up the game. Fast-forward and the game is now in sudden death, next person who makes it wins. The prize? Well, that is obvious; it is the pride in knowing you dominated even amidst your utter intoxication. Beer pong. The game that is played and enjoyed pretty much anywhere there are raging hormones and a sufficient amount of alcohol. The game has been around for many years and played by most of my generation. It has become so popular that they have large tournaments with prize money, specific parameters for table size, specific rules and regulations to abide by, and is institutionalized (NBPL). The question that I am asking in this blog is, does it constitute play, game, and/or sport? I would like to take the views of Suits and Meier and analyze the popular game based on their definitive assumptions of the three categories. Lets begin with play. For Suits play has two categories primitive, play for its own sake, and sophisticated play; play that lacks spontaneity and centers on skills developed and used for their own sake. Each category is considered an autotelic activity and is only played for intrinsic gain. Play is said to have been one of the ways sports and games were originally derived, the other being work. Being an activity that is performed normally, with no extrinsic gain, in the eyes of Suits I believe beer pong would be considered sophisticated play. For the sake of redundancy, I believe that Meiers would also agree. Next we have games. In the eyes of Suits, games are a derivative of play, but now have barriers and constraints, which lead to new skills or the refinement of old. I can just picture the development of beer pong, two guys sitting on a couch and one said to the other “hey dude, bet you cant make this rock into that cup over there.” From then a simple skill, with added rules, provides the structure for a game of skill to be born. In Suits article he noted different types of games, as seen in the figure to your left, I have placed beer pong under amateur games. 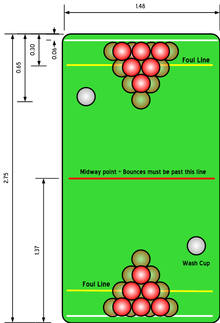 In a situation where the game is being played for intrinsic gain, accompanied with rules, and is considered a referred event, I think that is an appropriate place for beer pong. Taking a closer look you will also notice that amateur games are also considered sport. The final question will be whether suits would consider beer pong an amateur sport or sophisticated play? Meier has a similar take on games, he believes that “play is an autotelic activity, an activity voluntarily pursued for predominately intrinsic reasons” (Holowchak pg. 50). In observing the figure below, in retort to suits diagram, Meier takes a slightly different approach, He states that games are 1. A goal directed activity 2. Rules limit the permissible means of goal attainment. 3. Rules prohibit more efficient in favor of less efficient means. 4. Rules are accepted to make the activity possible. In the game of beer pong the goal is clearly to make the ball in the cup, by marking the distance at which one must throw the ball it limits the means to attain the goal, and if you have bad hand eye coordination, well I guess you are out of luck. 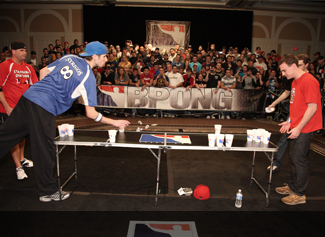 The population adhering to the rules and regulations made the success of beer pong as a game possible. Finally, the last element of speculation is what constitutes a sport? Suits and Meiers views differ in a few ways. As seen in the previous diagrams Suits does not consider all games to be sports nor does he consider all sports to be play. He also breaks down sports into two categories; those that are based off of performance, in which you would need a judge, and that which is rule-governed, which requires a referee. When taking a closer look at beer pong you have elements of all three depending on the environment in which it is played. If you are in a tournament playing for money, then it is not play, because there is an extrinsic reward. Beer pong does consist of a skill that can be practiced and is also rule-governed. 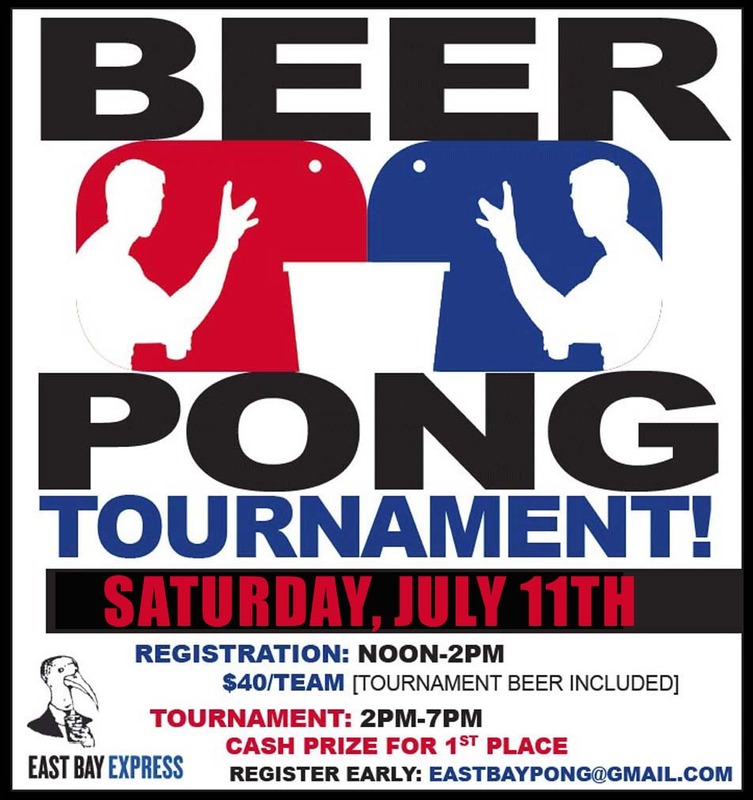 In my opinion, if table tennis is considered an Olympic sporting event, why not beer pong? Meiers believes that all sports are games, but not all games are sports. As seen in the picture above, Meiers deems the only difference between a game and a sport is that sport requires the demonstration of physical skill and prowess. As previously stated, there is an element of appropriate skill needed to be successful in a game of beer pong. Considering the element that Meiers believes constitutes a sport, I believe he would agree that beer pong would be considered a sport. 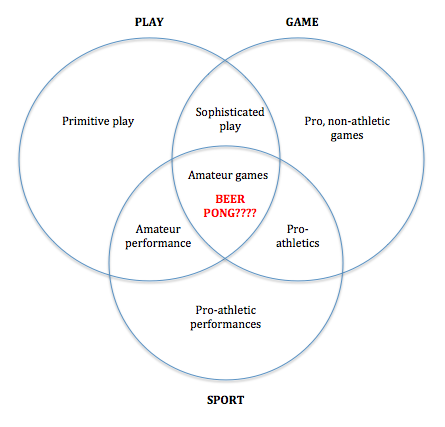 No matter what category Suits and Meiers consider beer pong to fall under, it is still a game of skill and will continue to be played in houses, garages, tournaments, with various size tables and cups no matter what it is labeled. Just like in other countries kids will play soccer or basketball with whatever means necessary. In the end it is subjective, when deciding whether a game or sport may or may not involve play Meiers believes “context is more important than content”. It is all in the eye of the beholder. The present. Right here. Right now. The moment when you realized that everything will be ok. That all you have is right here. Right now. As a society we work, eat, sleep, complain, repeat. Play has become a luxury for some and an escape for most. We daydream of childhood play, riding bicycles with a baseball card in the spoke, playing a game of soccer at recess. Then, it is just life still engulfing, engaging, and liberating, but always seems to be peripheral to that which is “normal life”. What is “normal” anyway? We have come to a point where play is sometimes not an option, But what if everyday was play? Even work. What is it to love what you do? If you love what you do, then is work considered play? Play is so subjective, it is truly the essence of life in which we have lost our way. LIFE IS PLAY. Looking into the ontology of play, play has been deeply embedded in all cultural, for all time. It has essentially become a lost catalyst to an enlightened state, a state of now, a state of worry-free being. Fink states that “it is also seen as a means of rejuvenating one’s inner vitality, a return to the morning freshness of life at its origin, to the source of one’s creative power.” It is often said that artists create in a state of “no-mind”. This is a state where the mind is only focused on the now, the present. In this state you are not thinking about the end product, just living in the moment, going with the flow. Play allows one to become their own artist, their own creator, for their own life. I believe play is exclusive, it is unlike any other human experience, and is also seen as a way to build community and bring people of various backgrounds together. It provides us with a structured way of releasing all negative emotion and thought. 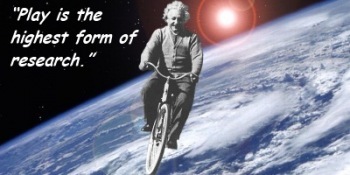 I believe it can be vehicle for a higher consciousness, when acted out in its true form. But what is play in its true form? Does play have specific ideal or form? Play is not defined by the action in which it is acted out, but by the feelings one gets during the act of play. As a child we play with ourselves or others, making up rules as we go, setting boundaries, creating order so that we may play in harmony with one another. We are happy, free and hold no judgement. Or at least that is the goal. Then as we grow older it becomes less free, brings less joy, more stress, and our conditioned lives bring about judgement and scorn. Play takes up less of our life and an industrialized culture takes over. This feeling that anything is possible is an important part of play and an important part of being. Those few moments where the game is tied or in the last leg of a race are when the possibilities may be transformed into actuality. As an industrialized economy we must soon realize that play is a crucial part of being. Without play we may loose our sense of self and our drive to create, learn, and explore. The thought of arete may bring varying images or meanings to mind, whether it is a sharp ridge of a mountain or the act of living up to your highest human potential; It is the essence of pure excellence one may strive for in this life time. When you strive to live a life arete, you are living on the edge, on this edge you are unafraid to fall, knowing that you will only be brought up higher. It is not a life of mediocrity nor is it a life of mindless living. It is about being brave in the face of adversity. In Homeric times it was neither masculine nor feminine. It was the true essence of you beyond what this physical world can see. In society we define ones potential based on their physical form, segregating those who are thought to be unworthy or weak. Men from women; Rich from poor. Forgetting that inside, we are all one. Whether you are an Olympic athlete, stay at home mom, doctor, or janitor; you all have the opportunity to live a life arete. You must take a hold of this life that you were given, good or bad, rich or poor, fat or skinny, and embrace the challenges, conditions, and each opportunity as though it was your last.